Ready to rock your visual design with the best Visual Content Tools? In this post we’ve rounded up 67 awesome visual design tools for you to create stunning visual content. Once upon a time, not that long ago, most of the content on the internet was text. Things have changed! Our brains can process an image in just 13 milliseconds and we connect with visuals emotionally. As such, creating visual assets for content marketing is becoming a top priority for most companies. And it’s not just images…videos are taking over the internet. Cisco has predicted that by 2019, 80% of all content will be video. Wow! Now, with this list of visual design tools, you can start creating visual content more easily. We’ve spent days deliberating over this list to give you the very best visual design tools to help you create beautiful visual content, whether you are a designer, a social media content creator or a small business owner who appreciates design. We’ve found practical and affordable tools that will help you, and tools that will excite and inspire you. And if you’ve never produced a video, animation or GIF before, don’t worry! We have created a list of visual design tools that will make creating video a piece of cake! The power of visual is that they trigger an emotive response in us which helps us to remember information. When we hear something we will only remember 10% of it three days later. Add an image and recall increases to 65% over the same time. 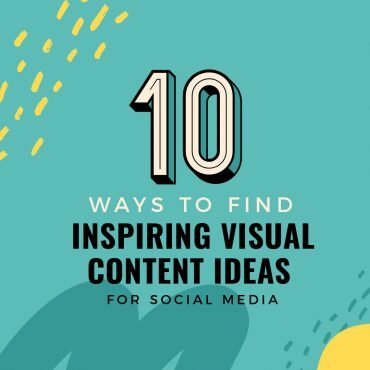 Visual content presents information in the way most people prefer – 59% of company decision makers will watch a video before reading an article or a blog post. Numerous research studies have shown that visual content increases social media engagement and sharing. It also increases sales. People are more likely to buy if they watch an explainer video first. 1. General Marketing – This includes branding (fonts, colors, typeface, logo and style) and web design. 2. Content Marketing – This includes images (photos, illustrations, graphics) videos (including animation and gifs) infographics, presentations and memes. The most common form of videos used for business are explainers, how-to videos, testimonials and product demonstrations. We have curated a comprehensive list of visual design tools for people who appreciate beautiful designed visual content. All 67 tools fall into one of these 15 categories. Click any category to jump to the tools in that category, or simply scroll down. “If you always do what you’ve always done, you always get what you’ve always gotten.” – Jessie Potter. When you design visual content, it’s easy to get stuck in a rut. Here are inspiring visual design tools that will get your creative juices flowing as we kick off this list of visual design tools. Inspiration Grid will blow you away with what innovative visuals designers are creating around the world. Whether it is typography, photography, illustration or graphic design, you will find beautiful ideas for designing your visual content. Inspiration Grid showcases and celebrates visual design. Firstly, you can build your own portfolio as a visual designer, blogger, creative or entrepreneur. Secondly, you can get oodles of inspiration by following brilliant designers. Thirdly, as you see stunning designs, you can collect all the design elements that catch your eye in one place. Perfect … to spark your imagination! 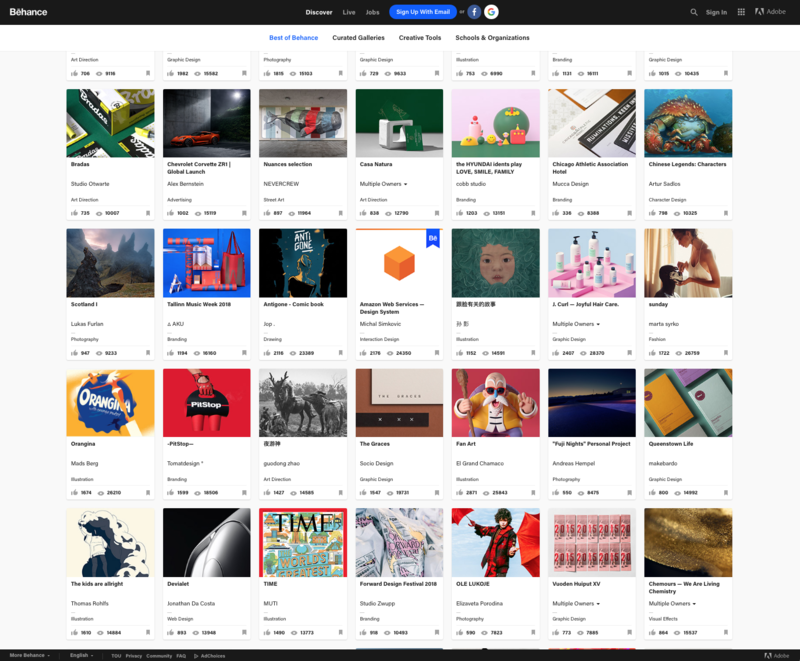 Behance is the leading online platform to showcase and design creative work so it had to be included on this list of visual design tools. It’s a great place to see creative visual design, and discover what international visual designers are up to all in one place. Have a look at their curated galleries for stimulation. Behance is owned by Adobe. Designinspiration is the place for you, if you’d like to a create visual design based around an idea or a color. This clever visual content tool has all designs tagged, so it is easy to search for specific objects like tattoos, shells, noses or mountains. You can search by shape and color too. Colour Lovers is a community of international artists and designers who love color! Become part of the community if you need feedback or ideas for either your own personal or professional visual design projects. Or just visit the site to get color inspiration. Browse by colors, palettes, patterns or shapes. They even have user-created seamless pattern templates that you can color. 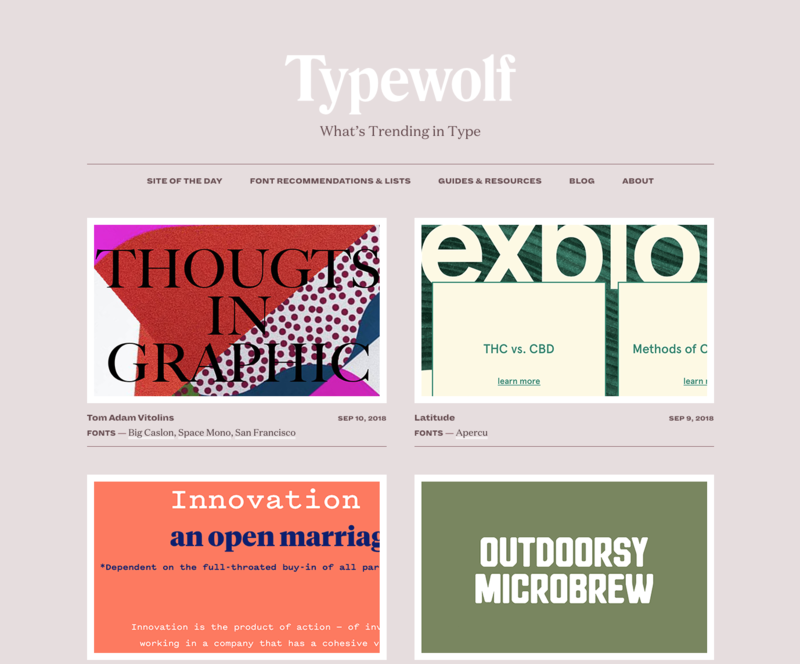 Typewolf is a great site to find advice about the perfect font to use in your visual content. Head over to the “Font Recommendations & Lists” section to find which typefaces are popular, which ones are trending and the editor’s favorites. The useful recommendations includes lists like “Top 10 Favorite fonts that are underused” and “Top 10 Free ‘Hipster’ Fonts”. Pixabay is probably one of best known websites for free stock photos. But did you know they also have an incredible selection of free video clips too? All 1.5 million images (photos, illustrations, vector graphics) and videos on Pixabay are released under Creative Commons in the public domain. This means they can be used for commercial use without attribution for your visual designs. HOT TIP: Pixaby is also a great website to look at for backgrounds or video backdrops for your seasonal social media posts. For example, they have great spooky video clips if you want to use one of our Halloween Quotes to create a short video. 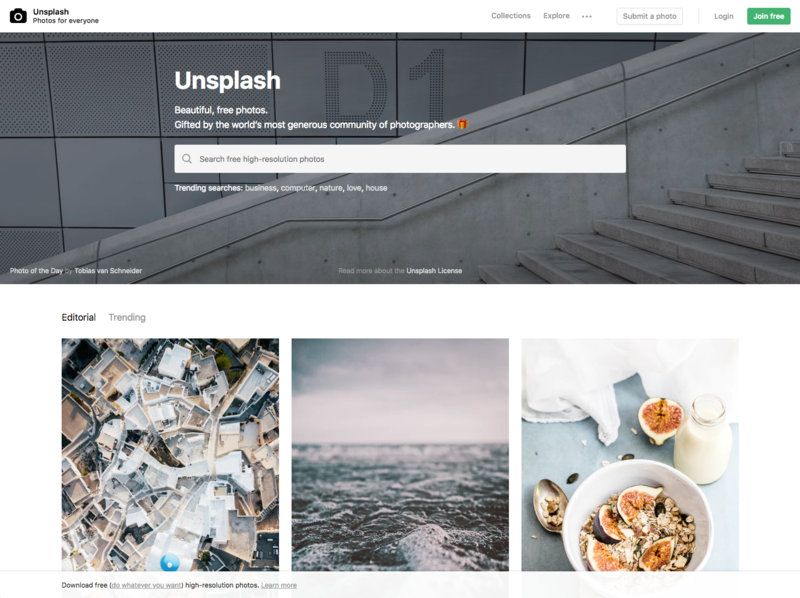 Unsplash is one of the most popular free stock image libraries. It has stunning, high quality images. All 600k images are 100% Creative Commons Licenses too. You can copy, modify, distribute or use the images which have been gifted by their community of photographers for your visual designs. You can search by category like business, travel, food or nature, but whatever you do, have a look at the wonderful curated collections. This site is great for sourcing eye-pleasing images for visual content to create powerful presentations, blogs and social media posts as well as bigger projects. It’s always great to have another free image stock library for gorgeous images when you have a specific visual design project in mind – Pexels is just that. Have a look through their popular searches, photo challenges and photos by color. They have awe-inspiring travel shots, yummy food snaps and funny photos too. And all images are Creative Commons Zero License, so the images are free for personal and commercial use (no attribution required). Save yourself the hassle of using multiple sites, downloading and uploading images while you design visual content. Easilstock is a styled stock library that has fresh and stunning photographs right in the place you need it: inside Easil. It’s a Styled-Stock Photography Library filled with modern, fresh images, including hospitality, food, blogging, and entrepreneurial images…. even DJs and craft beer! Best of all it’s free to Plus and Edge members of Easil. All images are available for personal and commercial use at no extra cost. If visual design is core to your business, you want to have a look at Rawpixel. Yes, they have free stock photos too, but what makes this site interesting is they also offer layered image files called PSDs which allow you to work with the individual layers to create mock-ups or add your own design elements. They have a vast collection of vector visual content. The cherry on the cake: They source and digitally enhance thousands of antique books and chromolithographic plates. If you love historical visual design, you will be jumping up and down with excitement because these images are available with a CC0 License. ISO Republic is another great site for free visual content to bookmark. Thousands of high-resolution CCO licensed images and videos for your next visual design project. Stunning visuals for nature, abstract and textures to peruse through. If you are a color and font lover, you will be in ecstasy when you discover the Palettab Chrome Extension. Imagine each time you add a new tab, you get treated to new fonts and a color palette. If you love the suggested hues, all you do is click on the color to copy the HEX code. Curious about the fonts? All you do is click on the font description to find out more. If the fonts and colors don’t tickle your fantasy, hit the refresh to get more options. This fun discovery project is by Tim Holman (@twholman) and Claudio Guglieri (@claudioguglieri) and is powered by Google Fonts and Colourlovers. Add the Eye Dropper extension. Choose the “Pick color from web page” button. Just hover over the color (anywhere on the screen) that interests you to see the HEX codes. Click to save the color you like best! Then simply add the HEX code for that color to the visual design tool you are using to finish your design. Take all the guesswork out of the right colors to use with your visual content with this smart built-in Color Palette Generator from Easil. Just upload your image and Easil will automagically generate a palette of color based on the picture. You can find the palette by expanding the image colors (which sits just below Image and Document colors in the tool). Find out more about Easil Color Palette Generator in this post: How to Select Colors for Your Design like a Pro. Adobe Capture CC is a useful app from Adobe for your mobile device. It allows you to capture the world around you as assets for your visual design projects. One of the features of this free app is that you can create color themes using your phone’s camera or photo gallery. The app analyses the image to produce a five-color palette. You can easily adjust the colors in the theme. Save your color swatches to use later across other Adobe products. Adobe Capture CC app can also turn photos into patterns, type, materials, brushes, and shapes. It also integrates with Creative Cloud memberships for advanced features (ie capturing a pattern and adding it to your designs in other Creative Coud tools, so you can keep editing). It has never been easier to create professional-looking DIY visual design. Here are some handy affordable desktop tools for producing stunning visual content without needing to brief a design agency. And they don’t need a gazillion years to learn how to use them. InDesign is industry standard, professional design software for layouts. It’s powerful but can be challenging to learn, especially if you don’t have a design background. It can be used for print, desktop publishing and digital media, and brings together your visual content and text to create page layouts or even multiple page spreads. InDesign is brilliant for big visual design projects like printing magazines and books. 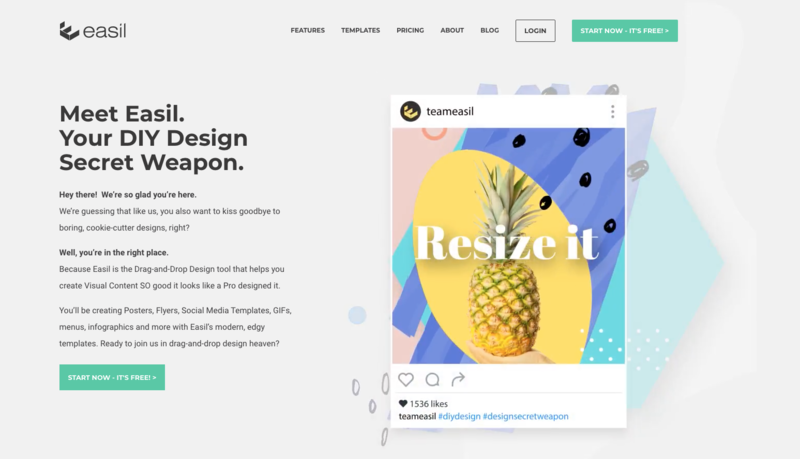 Easil is a DIY Graphic Design Tool that helps you to create graphics and visuals so good they look like a Pro designed them, so we couldn’t resist adding it to this list of visual design tools. 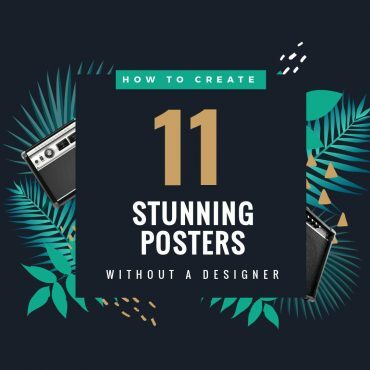 With 1000s of top-shelf customizable template (posters, flyer, social media images, menus, infographics and more), Easil has design features that appeal to experienced designers, not just those looking to do DIY-design. But they will love it too. Easil has a lot of features you won’t see in other tools like unique text effects (glow and text masking as well as drop shadow) . You can also make awesome, creative GIFs (see 22-25 in this post!). Work in layers, merge designs, add brand elements, create, resize and edit templates – all at your fingertips! If you’re using Buffer, you will love Pablo. It’s part of Buffer an helps you create quick visuals ready for sharing on Buffer. It’s quick and easy to create quotes or add text to an image. Pablo has a large selection of free images to choose from. Select one of five templates. Add your own words. Then choose the format for your image: Portrait, square or landscape. Share your image as a social media post via Buffer so that it goes out at the optimum time. Easy. Images with quotes work on social media and Stencil’s awesome library of quotes makes it a useful resource. Stencil is a DIY design tool that has a small library of templates for creating quick social images from your browser. Stencil also has 1.5 million stock photos (Royalty Free, CCO) and a solid collection of icons and graphics. The selection of 100,000 quotes is super handy for content ideas. You can also access over 2,300 Google fonts or you can upload your own. If producing social media visual content speedily is more essential to you than aesthetically pleasing designed visual content, have a look at Snappa. It’s a simple to use DIY design tool. Snappa’s drag-and-drop editor coupled with over 5000 templates and 600k plus free stock images makes it super-fast to produce graphics for blog posts, social media and advertisements. It’s very simple for non-graphic designers to use. GIFs are more popular than ever – whether you pronounce them “gifs” or “jifs”, millions of people are searching on Google for GIFs each day. Giphy has over 300 million daily active users and a gigantic library of GIFs. 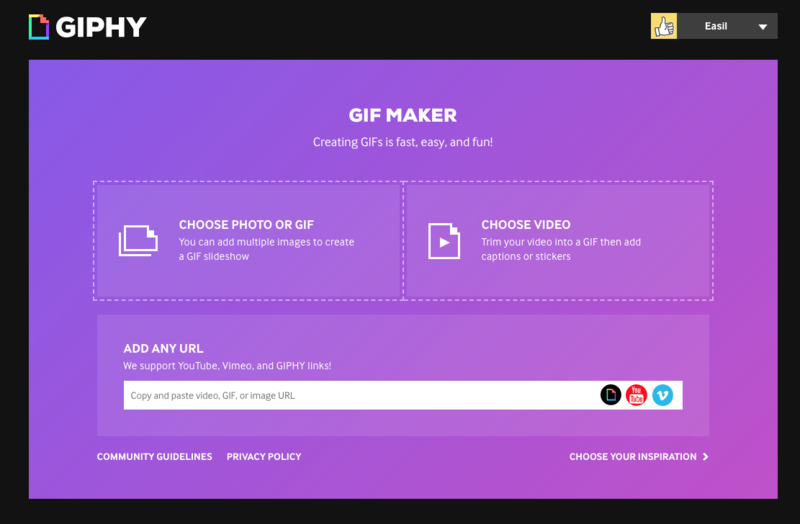 With Giphy, you can make GIFs quickly and easily. Gifmaker is a GIF making tool that is simple to use. You can create a GIF from images or videos. It is very basic and doesn’t allow customisation. However, the main reason you would use this tool is to access the resizing, compressing and cropping tools which are useful. Most GIFs are a bit of fun, but what happens when you want to create visual content for awareness or to increase sales? Easil’s GIF Maker allows you animate designed templates to create eye-catching visual content that sparkles. Motion draws attention and you want your customer’s attention, right? The major advantage of Easil’s GIF maker is that you can customize your GIF much more than with other tools. It’s not just the text that you animate – it can be photos, objects, icons or even text effects too! Read our article for more ideas for how to make your promotions stand out from the crowd: How to Make an Animated GIF with Easil (that will turn heads). EzGif is a good all-rounder GIF generator on our list of visual design tools. It is easy to use. Upload images or a video or use “paste a video URL” to create visual content quickly. It has cool customisation features like adding a split screen, reversing, rotating or changing speed. It also allows you to crop and resize the GIF. Imagine a world where all images were exactly right for the visual design you have in your mind. Pixlr is one of the most widely used free image editors online, especially for ecommerce photos. It’s also available as an app on a smartphone or table for both iOS and Android. Pixlr separates its photo editing into Pixlr Editor (advanced) and Pixlr Express (efficient). Editor is a straightforward photo-editing tool which allows you to work in layers, replace colors and transform objects. Express lets you play with your photos by adding creative effects, overlays and borders. Pixlr have just introduced a premium version called Pixlr Pro for Image Editing. Gimp is an open source free photo editor that’s a worthy competitor to Adobe Photoshop. You can use it to retouch, edit and draw, and it includes color correction, channel mixing, advance cloning, paths and layered compositions. Its photo editing toolkit features layers, masks, curves and levels. It’s easy to eliminate flaws with the clone stamp and healing tools. The interface will feel familiar if you have used Photoshop before. Need to compress your images without losing quality? Compressed images make page load times faster for websites and blogs. Compressor.io is a free online tool that can reduce the size of your images and photos. It maintains a high quality with minimal quality loss before and after compression. It supports many file formats, like JPEG, PNG, GIF and SVG. Think of Fotor as a great photo enhancer rather than fully fledged image editing tool. Its high-end filters and its batch processing tool make it worth looking at. The High Dynamic Range (HDR) feature allows you to combine three or more photos of the same scene with different exposures. This allows you to capture more vivid colors than possible with a standard digital camera. Adobe Photoshop is the gold standard for photo editing. “Photoshopped” has become adopted into popular use as a normal word to refer to photographs that have been altered digitally. Photoshop pioneered many of the techniques and methods that are now standard across photo editing software. Examples of this are; layers, slices, and image correcting macros and filters. It dominates the visual design industry and is brilliant for photo correction and manipulation. However, it can be overwhelming to new users and it has a steep learning curve. Did you know the average video post on Facebook generates 135% greater organic reach, when compared to photo posts? (Social Bakers, 2015). Or that Tweets with videos are 10x more engagement than tweets without. 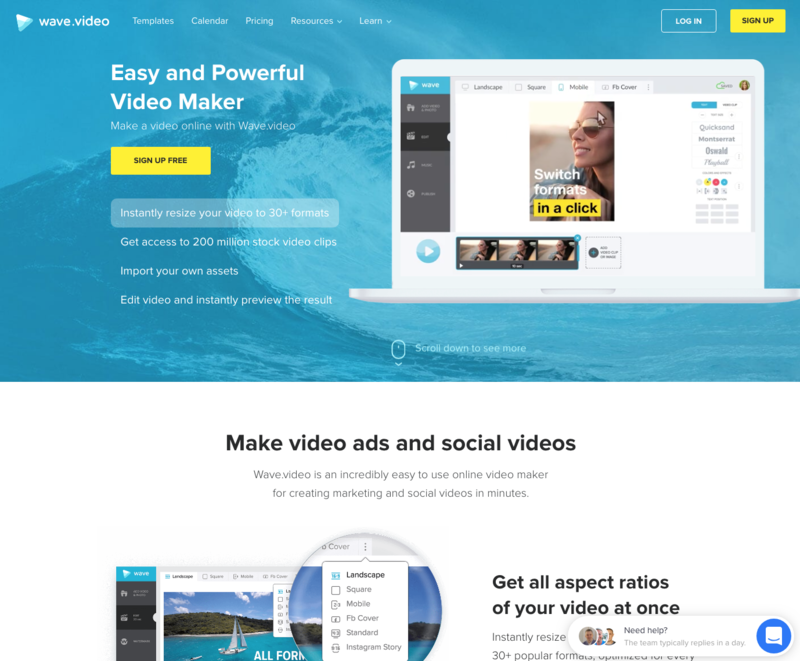 Wave.video by Animatron is great for creating videos quickly for marketing and social media. It has 2.5 million stock photos and videos, and a comprehensive music library. 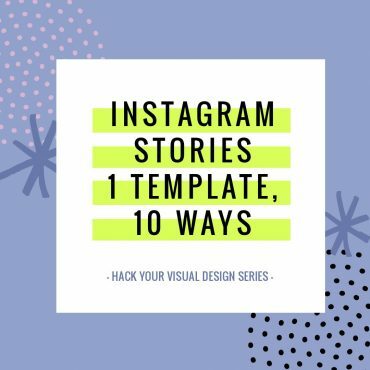 If you need a different format for your social videos, you can resize your videos easily from a landscape to a square to a portrait – even Instagram Story size. Wave has a wide range of templates to use with its drag-and-drop feature making it a great visual content “video” creator for novices. Animoto allows you to create attention-grabbing video fast and easily by using slideshow templates. It has an amazing collection of pre-built business storyboards that you can customise easily with a drag-and-drop video editor. Import your own videos, images or sound clips to make the video unique to you. iMovie comes pre-installed on Mac devices so is essentially free if you own a Mac. Its simple and intuitive which makes it a perfect video editor for beginners. Just about anyone who has dabbled in video has played with iMovie at some stage! Lumen5 uses Artificial Intelligence (AI) to create videos from blog posts within minutes. Enter a URL and Lumen5 will help you summarize the content and match each scene with relevant videos, photos, and music. There are millios of free files under Creative Commons that you can choose from. Add your call to action and brand logo to the end of your movie too. Hot Tip: Always check the suggested video content before publishing. You may need to tweak the content or add some slides. AI is smart but it’s not human, so always double-check. Animatron Studio is a DIY video production tool offered online. It’s great for making explainer videos and whiteboard animation style. Animotron Studio allows you to create banners and animation in HTML5. 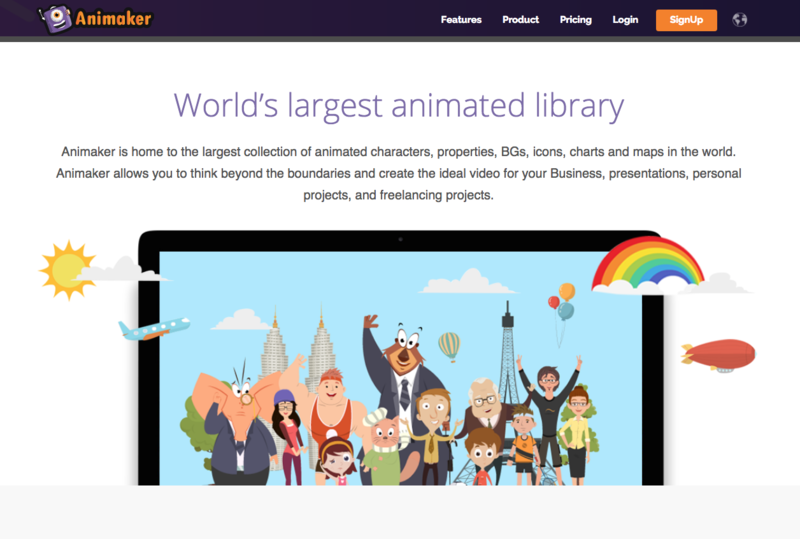 It also features a free Marketplace with hundreds of pre-animated characters, props and backgrounds and thousands of royalty-free video, photos and sound clips that makes creating animations easy with drag-and-drop. You can also import fonts, images, video and audio. What makes Animatron special is that you can add branding, animated characters and annotations on top of a video. More than one person can work on a project at the same time. Hot Tip: The Animatron Lite feature in this tool is a great jumping in point for non-animators. It’s part of Animatron Studio and designed for quick projects or for novices who want the easy version. Animaker is an online video making tool that is an easy-to-use way to create animation using drag-and-drop. It allows people without video production skills to create high-quality visual content. Animaker offers 2D Animation, 2.5D Animation (where the 2D characters look like they are moving in a 3D space), Handcraft, Infographics and Typography. Animaker has pre-loaded characters with movements and expressions so it’s easy to record a series of expressions. It also has a cool camera zoom in and out effect. The animated infographic-style projects are a great way to bring life to boring data with cool visualization effects. Powtoon is another easy to use, drag-and-drop animation tool. It has a large character library, templates and storyboarding. Storyboarding allows users to design videos quickly by viewing all their frames on one screen. It makes it easy to swap out templates from PowToon’s extensive library. Their done for you, ready-made templates allow you to create high-quality animations, fast. Far too many people have suffered from direly dull Powerpoint presentations with far too many bullet points. When it comes to visual design, the last thing you want is to get people snoring with your Powerpoint presentation. Prezi is a unique presentation experience where instead of developing your presentation slide-to-slide, you create a fluid, non-linear presentation that can respond to the audience. Prezi presentations are highly visual and interactive. Use this tool to create presentations that concentrate on the relationship of ideas and having a conversation. The software allows you to zoom to the areas of the presentation that interests your audience rather than forcing them to follow the slides in a set order. Prezi can allow you to create a stunning presentation, but on the flip side, too much use of the zoom and movement across the canvas can leave your audience feeling dizzy and disorientated. So, use it with caution! Slidedog allows you to combine almost any type of media to create a multimedia-rich presentation. It’s a web-based presentation tool, which allows you to combine PowerPoint and Prezi presentations together as well as adding graphic, video clips, and other visual content seamlessly. You can share slides in real-time with your audience who can view them from their own device. They can also answer polls to make an immersive presentation experience. 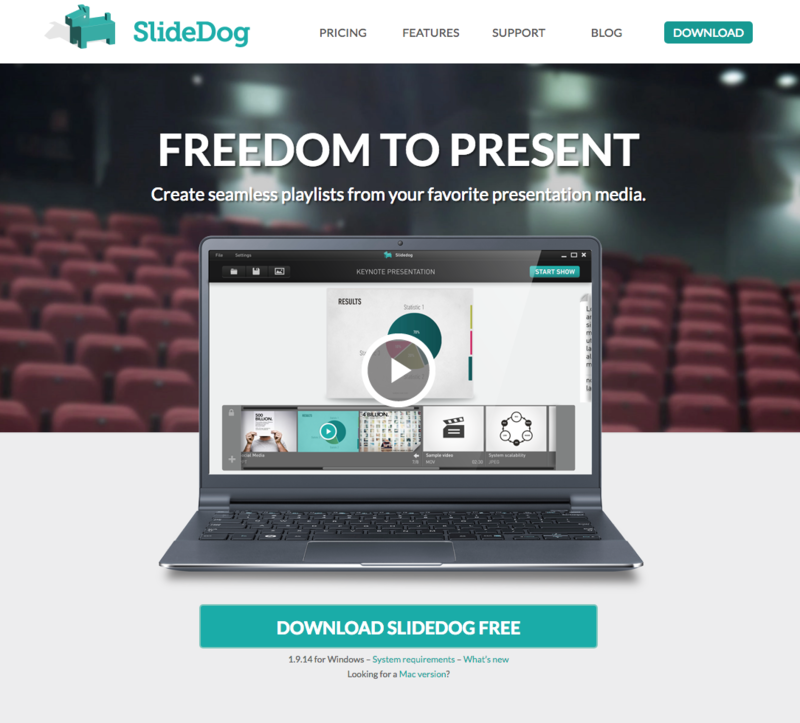 Slidedog is designed to work alongside Prezi or PowerPoint. Haiku Deck allows you to easily access 40 million free images from the Creative Commons collections, so that you can build an impactful presentation. You can choose different fonts, layout and filters or use one their templates. The emphasis of the design is on beautiful images to convey ideas. It requires you to have access to the internet or you can export your presentation to PowerPoint. An exciting new addition to Haikudeck is Zuru which uses artificial intelligence (AI) to take a simple outline or an existing presentation and convert it into a spectacular presentation in minutes. The popularity of Infographics continues to grow and have become a big part of visual communication. If Infographics are well designed, they make data more memorable by serving information in visually appealing snackable bites. Thinglink is a clever tool that allows you to take visual content like photographs, videos and 360 content and make them interactive. Viewers get more information by hovering over hotspots in the image. They can watch a video, hear an audio, read information, see a map or follow links to related content. These interactive infographics can be embedded on your website or blog. Visme do more than infographics. They make infographics simple and easy to produce in minutes. Either select one of their templates or customise your own layout by selecting ready-made content blocks from their library. Convert your data into visual content by choosing graphs, tables, maps, data widgets, images and icons. Customise the infographic by changing texts, colors and fonts. You can even make your infographic engaging by adding audio, video, animated objects or polls. Infogram is about fully responsive infographics. Visualising your data is made easy with their drag-and-drop editor. 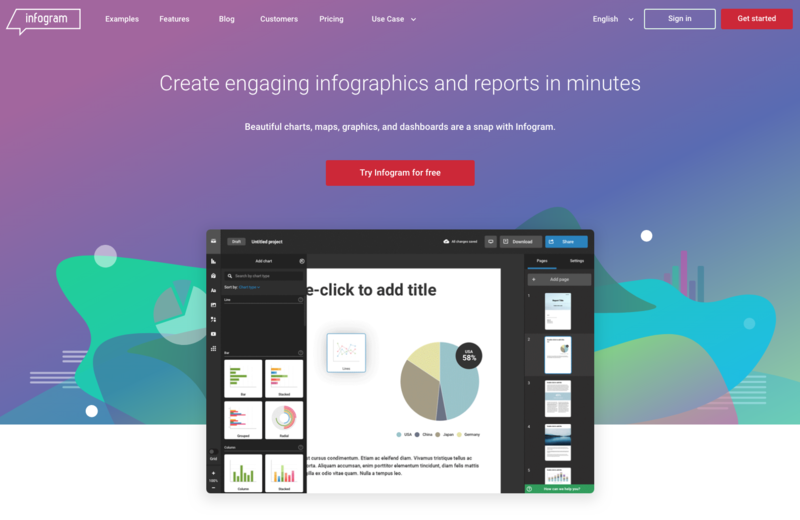 They offer more than 35 charts and 550 maps, 20 themes and a million images and icons. You can even impress colleagues and clients by connecting your data to a live dashboard that visually tracks your business. This drag-and-drop infographics tool has hundreds of beautifully designed templates to choose from. You can import your data directly from your spreadsheets into twelve chart styles. Venngage have thousands of icons, pictograms and illustrations you can select, or you can upload your own. Customise the infographic and you’re ready to go. One of the easiest ways to get started with beautifully designed Infographics is to find infographics that are done for you. Easil has templates ready to go for creating infographics. All you need to do is add your own text, images, and adjust the fonts and colors to suit your brand. Bloggers love using Easil to create charming infographics that make blogposts more “Pinnable” and drive traffic to websites. Have a look at our Pinterest Tall templates which are the perfect mid-length infographics for your next project. Or create a teaser for your blog. We also have a number of infographic design templates for the food and tourism industry. When you need icons for your visual content, Iconfinder is a great search engine to go to for high-quality icons. Their marketplace has over 2 million free and premium vector icons in SVG, PNG, CSH and AI format. If you are after free vector art, Freepik is a good place to start your search. They also offer free illustrations, PSDs, icons and photos. If you can’t find what you’re looking for, they also have a fabulous range of premium vectors for professional use. Iconmonstr has over 4000 free icons in 300+ categories for your next visual design project. The high-quality icons have a simplistic, universal design and are available in SVG, Al, PSD, and PNG formats. The nounproject claims to have the most diverse collection of icons ever. For a small annual fee, you can download over a million royalty-free icons without attribution that can be customised. The icons are available in SVG & PNG Files. Designer freebie heaven! Designermill is a collection of free Photoshop Files, Sketch files, handpicked free Fonts and other resources for designers which is updated every day. The free PSDs include mock-ups like this square invitation + paper wrapping, and cool iPhone 8 gold perspective mocks. Loom is a brilliant new free desktop app that allows you to screencast directly using your computer’s camera, screen and audio. It then generates a public shareable URL. No need to fuss around with uploading or hosting the video. We’ve started to use Loom at Easil and love it! A big bonus is that currently Loom is entirely free for unlimited videos and unlimited length! Great quality and a slick userface, it’s easy to organise files in folders and share or download. Monosnap is good for grabbing quick screenshots. Draw on it, highlight areas or hide details. You can also take short videos. Save them to the cloud or your local file. Free for Windows and Mac OSX. Awesomescreenshot is a browser-based extension for Chrome and Firefox that allows you to capture the full or selected part of the screen and make simple annotations. And it’s free. Screencast-o-matic has a free version, but it doesn’t record audio, restricts videos to 15 minutes and is watermarked. For a small monthly fee ($1.50) it removes the watermark and you get quite a sophisticated recorder and video editing features. For example, you can draw while you’re recording, get automated speech-to-text captions (very useful for when people are watching video with the sound off). You can also have silences removed automatically and you can animate overlays. ScreenFlow is easy to learn, powerful video editing and screen recording software for Mac that lets you create high-quality video. It includes a stock library with access to 500k video clips, and you can animate graphics, titles and logos with built in video and text animations. Create GIFs easily, too. If you don’t have a Mac and work from PC, the best all-in-one screen recorder and video editor is Camtasia. PowerPoint and Camtasia work very well together. You can record narration to slides within PowerPoint to create a quick video tutorial or import your slides into Camtasia to add video, narration and web camera recording. Add interactivity by including quizzes to see who is watching your videos, and how much they’ve viewed. For added excitement use the greenscreen feature to juxtapose yourself in the middle of an action shot. 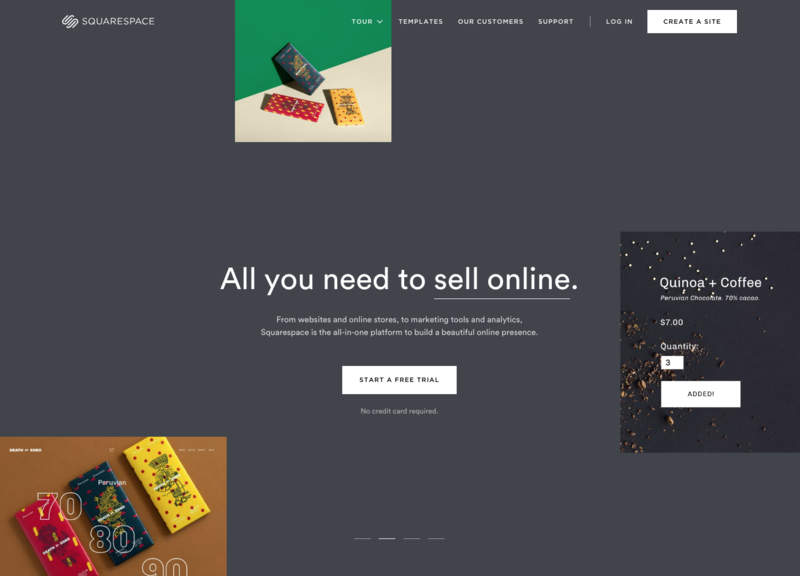 Squarespace is the go-to website builder if you want beautifully-designed templates with hundreds of customisable features. Templates are built for visual appeal. You don’t need coding to build websites, but you may need to do a bit of digging to find all the rich features that the editor offers. Template Monster has a large selection of website templates for all popular content management systems (CMS) like, WordPress, Joomla, WooCommerce, Shopify, and a lot more. They have over 26,000 themes to choose from. 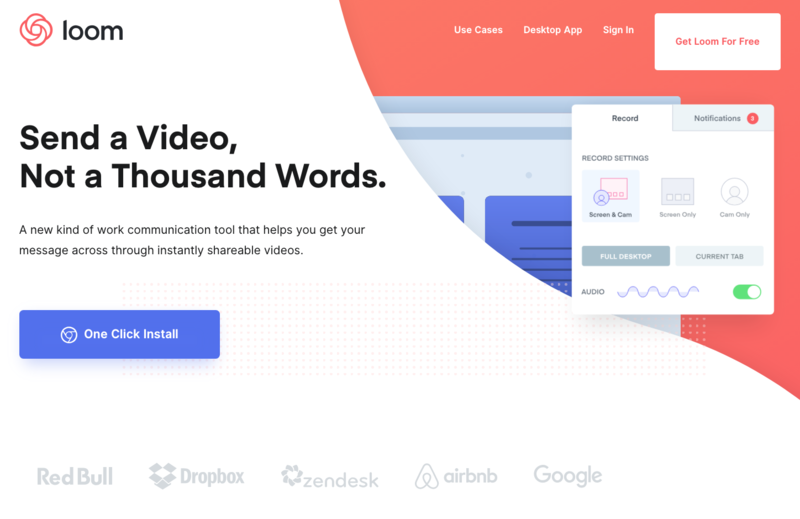 Weld is a simple but designer-friendly design tool that allows you to create visual content for your existing web or e-commerce platform without code. It allows you to animate and create interactive content easily. No need for developers or agencies. Be more flexible, work faster … and save money. Comic Sans walks into a bar and the bartender says “We don’t serve your type here. ” – Simon Garfield (Just My Type: A book about fonts). Upload an image and click on the font you want to identify. WhatTheFont will search over 133,000 font styles to find the best match. 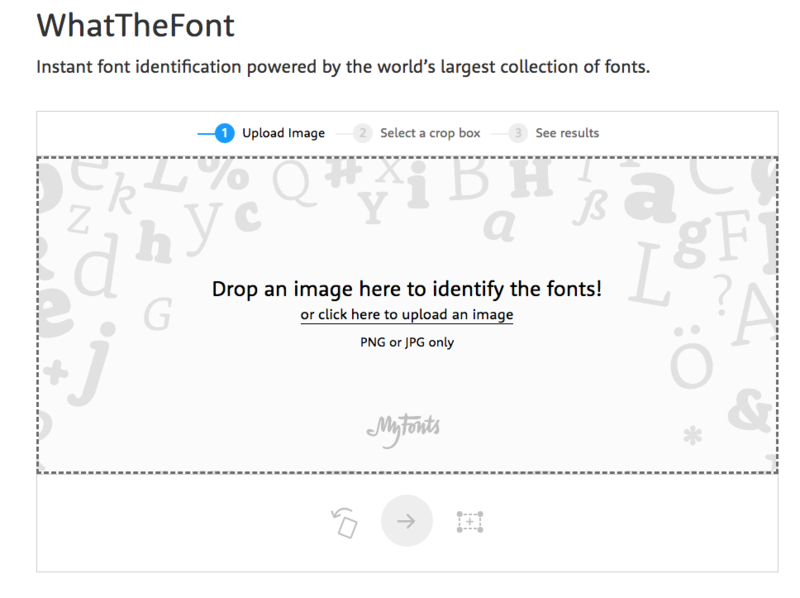 Whatfontis is similar to WhatTheFont, in that you can upload an image to find the font. It also allows you to use a URL to try to match the font. You also get an option to specify if the background color is darker than the character color, the text is only on one line or that the image is complex. This tool draws on a database of 450,000 fonts. Google Fonts helps you find fonts that you like by exploring 884 fonts in their library (and growing). You can use the interactive library to choose whether the Google Fonts you search on will be serif, san serif, monospace, handwriting or display. All the fonts are open source to allow you to use them commercially. It’s one thing to design beautiful content, but your visual content marketing strategy needs to include how to share that content on social media – and a way to measure the results of your activities. 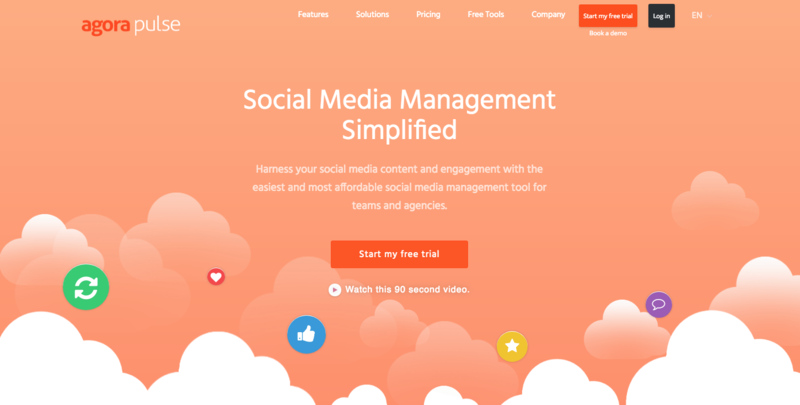 Agorapulse is an all round social media management tool that works with Facebook, Instagram, LinkedIn, Twitter, Google+ and YouTube. Agorapulse allows you to schedule, publish, listen to conversations and respond, all from one platform. It has a great preview function that will show you what your tweets and posts will look like before they post, ability to work in teams and so much more. Check out this review of Agorapulse. If Pinterest is key to your visual content marketing strategy, Tailwind is a must-have tool to market on Pinterest. Tailwind is the easiest way to schedule and automatically publish posts to Pinterest at the best times for engagement. You can schedule pins and published pins can be tracked and repinned. Tailwind uses image recognition and pixel matching technology to help you find popular images. They also identify common keywords and topics to improve your Pinterest SEO. Tailwind also works for Instagram. If you love visual design and your main focus is on Instagram, Planoly is a powerful planning app to consider. Planoly helps you to design your Instagram feed beautifully using their drag-and-drop feature. You can schedule individual posts and and you can even schedule Instagram Stories, which we love and use at Easil. One handy feature of Planoly is that you can save your hashtags into groups to keep using them for future posts. You can also comment within the app, they have great analytics to improve your performance. Find out more about how to use Planoly in this post. You can rearrange the images, and use pro editing tools like filters and overlays. 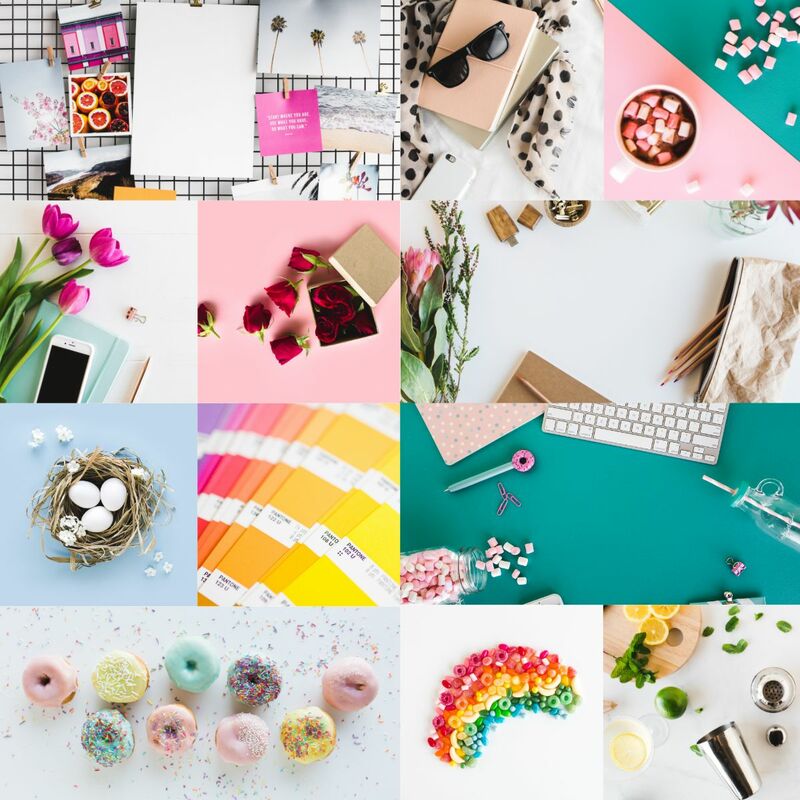 Create mood boards with color palettes to make sure your feed always looks awesome. You can also save hashtags, look at what your competitors are doing and use analytics to improve your performance. 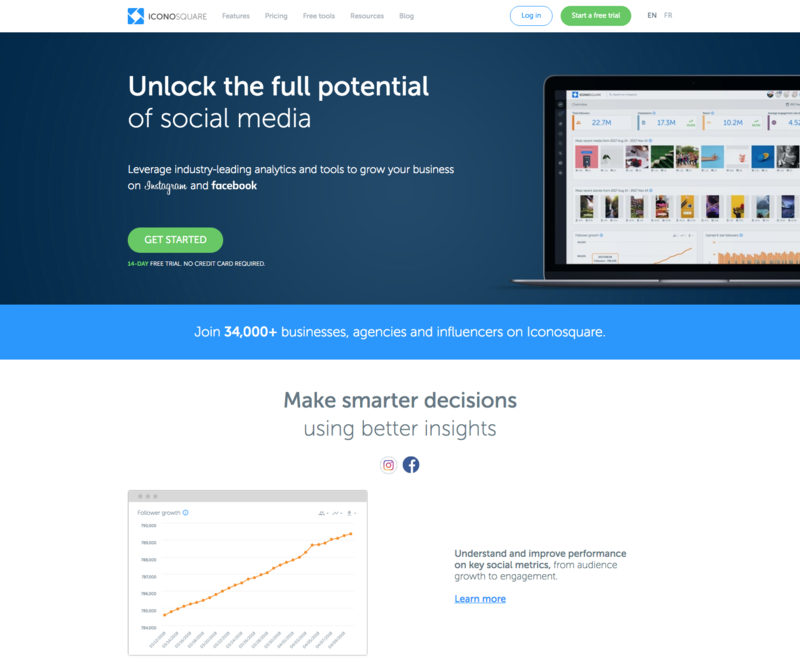 If you want to make smarter decisions based on analytics, Iconosquare helps you to know your numbers for Instagram Business accounts and Facebook Pages. It will help you to assess which visual content is working for you. It also allows you to plan, schedule and manage conversation on your Instagram and Facebook accounts. Iconosquare allows you to draft, schedule and preview single images, and carousels or Stories posts. It will directly publish your photos to Instagram with tags and locations. This is a great planning and scheduling tool that works for the following platforms: Twitter, Facebook, LinkedIn, Instagram, Google+ and Pinterest. Buffer allows you to schedule images, videos and GIFs. Buffer can post single photos and captions directly to Instagram business accounts and will send a reminder for videos to go to directly to Instagram. Using Buffer’s Chrome extension allows you to add great content to a queue to published at optimum times. You can attach to four images for a Tweet on Twitter. And don’t forget Pablo (remember #19 above?). Images created in Pablo automatically include the words in the image as part of the post. This makes it easier for you to prepare content to share. Still here? 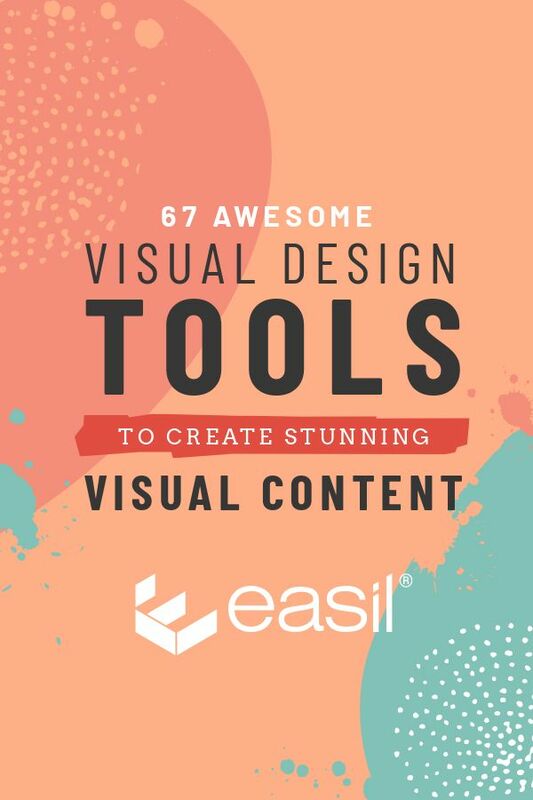 Congratulations for working your way through this long list of 67 Awesome Visual Design Tools to Create Stunning Visual Content. You must love tools as much as we do! Have you found new visual design tools? We would love to hear which visual design tools excited you the most (or perhaps you see your favourites on this list!). And, of course if you want to take Easil for a spin to create visuals, infographics, GIFs and more, you can do so here.